MHP has confirmed many times that it will run a 'Yes' campaign for "the country, the nation, the flag, and the survival of Turkishness." 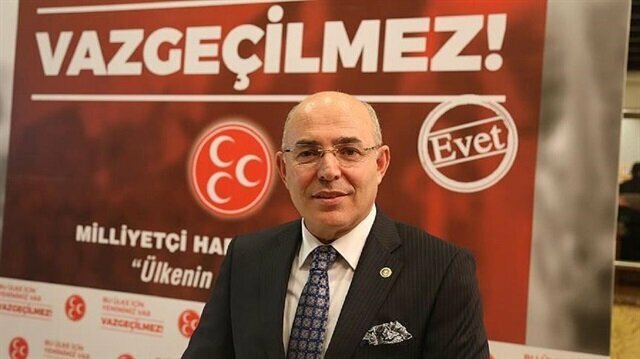 The opposition Nationalist Movement Party (MHP) is "sure" about a 'Yes' result at the upcoming referendum on constitutional changes which is set for Apr. 16. "I am sure the referendum will result in 'Yes'." He said their support to the constitutional changes was not a support to a politician or a political party. "We are concerned about the faults in the [current] government system," Karakaya said. The party's leader Devlet Bahçeli repeatedly voiced his support for the amendments including the presidential system. On Jan. 20, lawmakers from the ruling Justice and Development (AK) Party and MHP voted in favor of a new constitutional reform package. Two opposition parties -- the Republican People's Party (CHP) and Peoples' Democratic Party (HDP) -- remain opposed to the proposed changes. Changes to the constitution include the suppression of the prime minister post and the stipulation that the president will be allowed to retain ties to a political party. The minimum age for parliamentary candidates will be reduced to 18 and the number of lawmakers will rise to 600. Simultaneous parliamentary and presidential elections for a five-year term would be held in November 2019.